Today we are celebrating with Christmas coloring pages. These preciously cute Christmas coloring sheets can be used all through December with your kids. 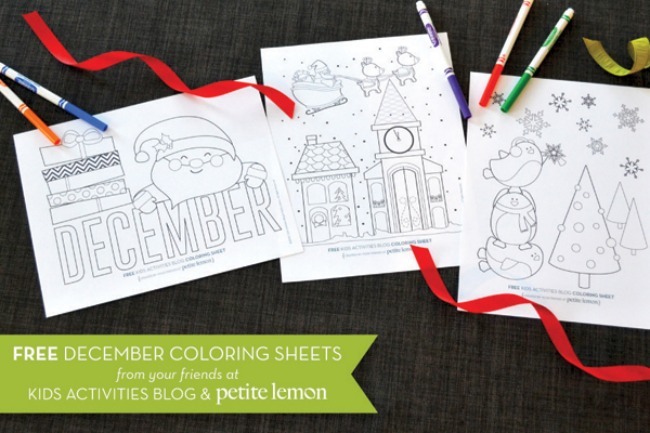 Our friends over at Petite Lemon have created them and Kids Activities Blog is giddy with excitement! December Coloring Page: The December coloring sheet has Santa’s face peeking over the letters of the word “December”. Don’t forget to color the wrapped packages! Santa’s Sleigh Coloring Sheet: Santa and two of his reindeer are flying over town Christmas Eve. The Bird’s Christmas Coloring Page: The birds are decorating the forest Christmas trees while big snowflakes gently fall. So, grab your favorite fall colors and print off the coloring pages! Watch Kids Activities Blog later this week for more printable Christmas fun alongside all the fun Christmas gifts that kids can make. 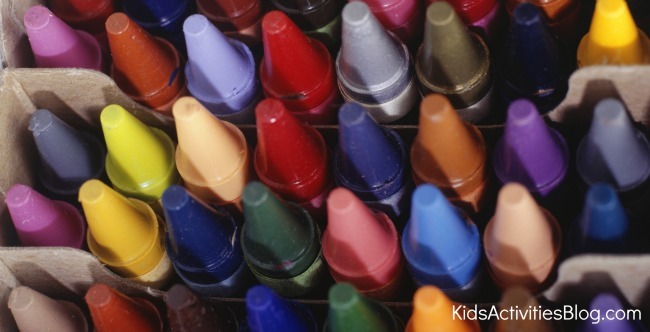 Our favorite Coloring Activities that turn coloring pages into multi-media art! These coloring pages have been created by our friends at Petite Lemon, who specialize in personalized decor and tees for kids. You can view all of their personalized goodness ” canvas growth charts, sibling tshirts, alphabet posters, birthday tshirts and more at PetiteLemon.com. I love these colouring sheets! I saw your fall ones, and I was hoping that you would make some December ones!! Thank you! We are LOVING these pages. Gorgeous! I have print one out each morning since you posted…my boys (2 and 3.5) adore them! i love coloring pages!! think the LO is getting real tired of them though! just means i have to get more creative with the things we can do with them! So many thanks for these free activities from last year, for us to use THIS year!